Newly promoted side Mushowani Stars picked up their first point in the Castle Lager Premier Soccer League after holding defending champions FC Platinum to a 2-all draw at Rufaro stadium yesterday. 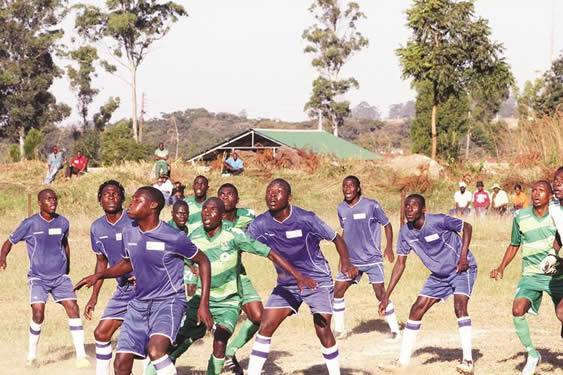 Mushowani’s first premier league game was against Dynamos in which they lost 2 -1 before playing Ngezi Platinum who beat them with a similar scoreline. Head coach Newman Mashipe was happy his team managed to pick their first league point especially against the defending champions. “I am very happy, it’s a relief to the technical team and everyone in the team. We managed to get our first point against the champions, a good team with good players and a quality coach. The visiting coach Norman Mapeza was happy with his team’s performance although he blamed the penalty for changing the course of the game. “I think it really changed everything, it changed the course of the game with only six minutes to the break. This weekend Mushowani will visit fellow newcomers Manica Diamond at Gibbo while FC Platinum hosting red-hot Hwange at Mandava.